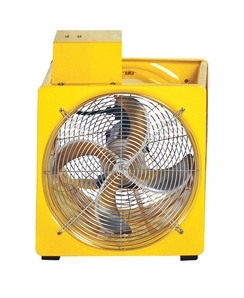 The VF164 is a 16?, electric, variable-speed, confined space fan designed to be the perfect combination of size and power. Perfect for departments in need of an everyday that offers precise control of air movement. The VF164 will run on any 15 amp GFCI circuit and new hydraulic generators.